We are now well into Lent, one of the two great fasts in the Christian Calendar (along with Advent). We do not like to discuss differences in accounts of Christ’s life. Many scholars have sought to harmonise the accounts and remove apparent contradictions. But to do so is to read our own understandings of historiography into the gospel writers. This does a disservice to scripture. Rather we must acknowledge that the gospel writers had a theological agenda for their writings, and their agenda is valid (God obviously doesn’t have a problem with it). Here we see the early church acknowledging that the gospel of Mark is not in chronological order of what happened in Jesus’ life. Equally Matthew and Luke wrote down the temptations of Jesus in different orders, to add theological emphasis, and this is okay. In both gospels, Jesus undergoes 3 temptations by Satan. 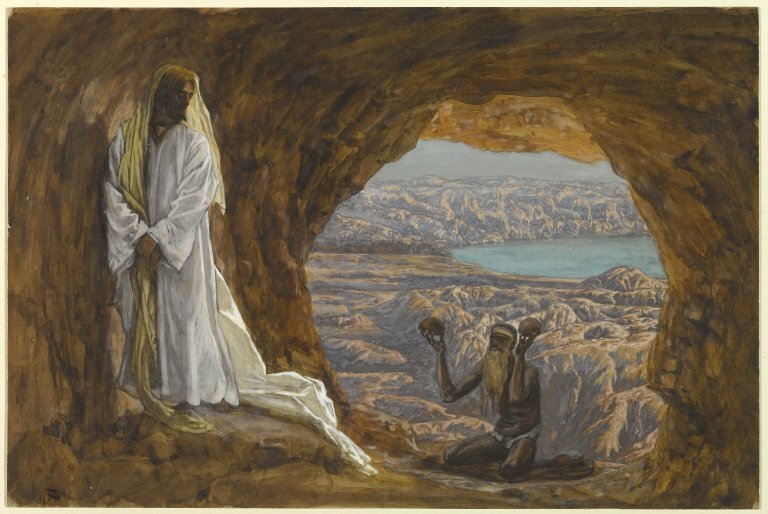 In both gospels, the 3 temptations were the same. In both gospels, Christ answers the temptations in the same way – by quoting scripture. The primary difference is in the ordering. 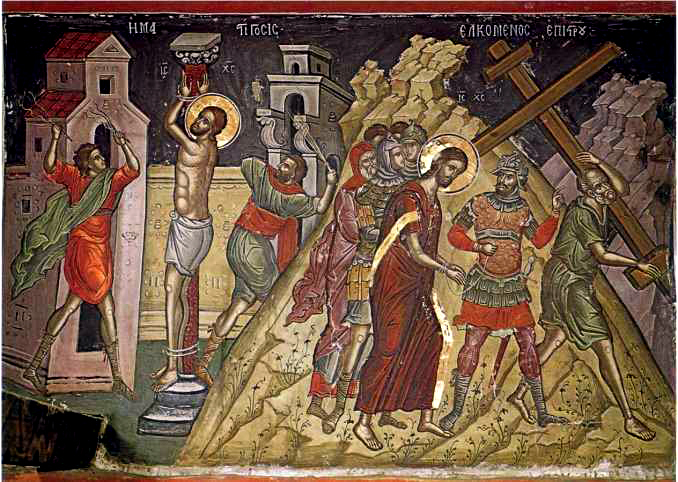 Jesus is told to turn stones into bread to satiate his hunger. 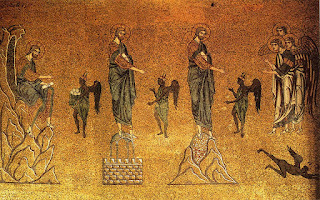 Jesus is taken to the top of the Temple and asked to jump off and let angels catch him. Jesus is taken to a very high mountain, shown the kingdoms of the world and told that they would be his if he could bow to Satan. Let us look at what we can learn from these in more detail. Matthew's theological orient is to look at Jesus within his Jewish context. There is a large amount of evidence to suggest that Matthew was writing his gospel with Jewish people in mind. For example, when Matthew mentions Jewish customs he does not give any explanation of what the customs are, he assumes that his reader already has a good knowledge of Jewish Customs. 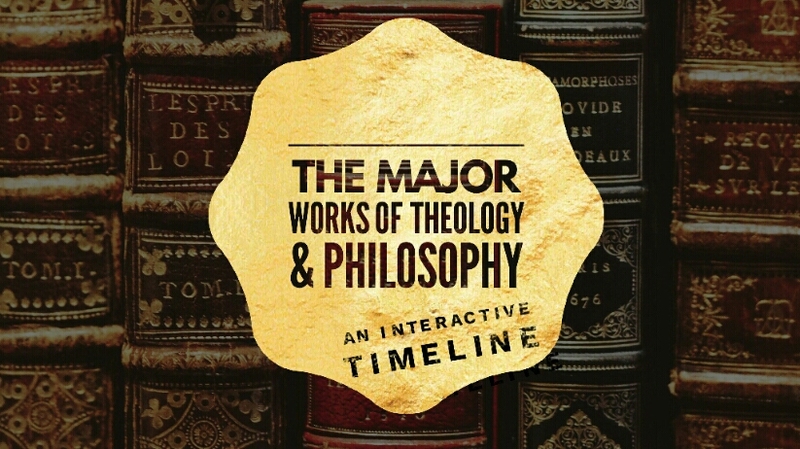 Matthew traces his genealogy of Jesus only as far back as Abraham, the Jewish patriarch. Matthew also quotes the Jewish scriptures a lot, linking Jesus with the expected Messiah. Another example is his use of the phrase “the Kingdom of Heaven” rather than the phrase used in the other gospels “Kingdom of God”. 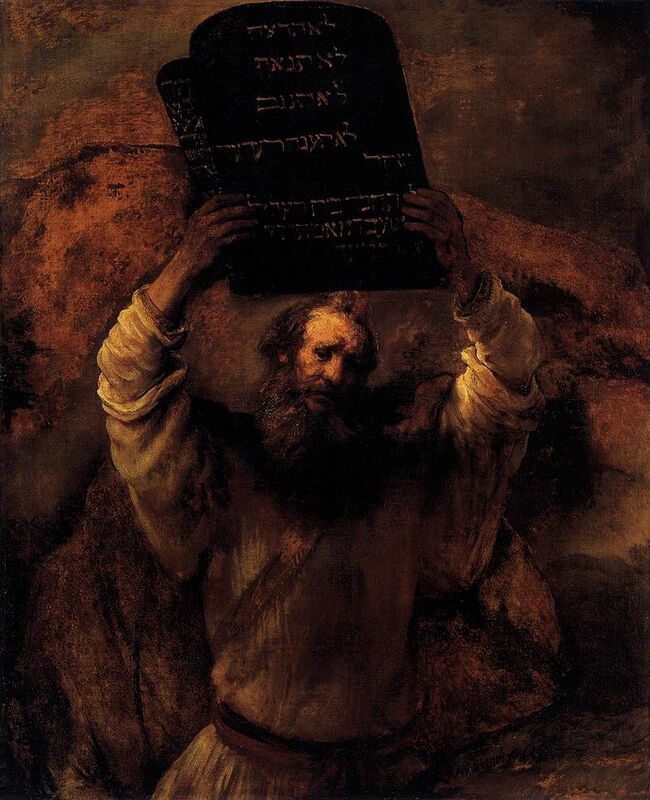 Jews did not want to use the word “God” as it is something to be revered and holy and so Matthew uses the word heaven instead (hence why in some books you may see the word “G-d”, the modern iteration of this custom). Another of Matthew's aims in his gospel is to draw a parallel between Jesus and Moses – the man who led the Israelites out of slavery in Egypt (not sure who Moses is? Then watch the film “The Prince ofEgypt”, it might not be totally accurate, BUT THE SONGS ARE SO GREAT!!!... there can be miracles). - Pharaoh decreed all Hebrew male babies were to be killed, Moses lives (Exodus 1:22, Exodus 2:1-2). - The first five books of the Bible (the Torah) were considered to be “the books of Moses” and were believed to have been written by Moses. For more comparisons see this quick article. All of this points to Matthew ordering his gospel in a very Jewish way. And by extension, ordering his temptation narrative in a very Jewish way. We can see the temptations of Jesus itself as a comparison between Jesus and Moses. Jesus ate and drank nothing for 40 days whilst he was in the desert. Equally, Moses ate and drank nothing for 40 days whilst he was on Mount Sinai receiving the law (Exodus 34:28). It was upon mount Sinai that Moses received the law. The law was what established the covenant between God and Israel. The law was the boundary marker that separated Israel from the surrounding nations. Equally, Jesus also came to establish a covenant. A new covenant where the law would be written on people’s hearts, instead of on stone tablets (Jeremiah 31:33). Therefore, considering the large parallels between Jesus and Moses, and specifically the giving of the law on mount Sinai with Jesus’ temptations in the wilderness, that Jesus ends up standing on a mountain, just as Moses did. Matthew ends his temptation narrative with Jesus stood upon a mountain, as the bringer of a new covenant. A very Jewish idea, rooted in the history of Israel. Luke’s gospel is rather different than Matthews. Whilst Matthew is written for a Jewish audience, Luke’s narrative is written for a gentile audience, by a gentile. Halfway through Luke’s gospel, we are given a large clue as to the direction that Luke is taking us. Thus we see the direction of his gospel. 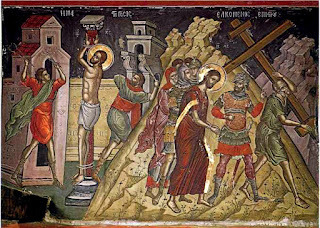 Jesus sets his face towards Jerusalem, and the rest of the narrative is taken up with Jesus’ slow movement towards his betrayal, torture and death in (and just outside of) Jerusalem. 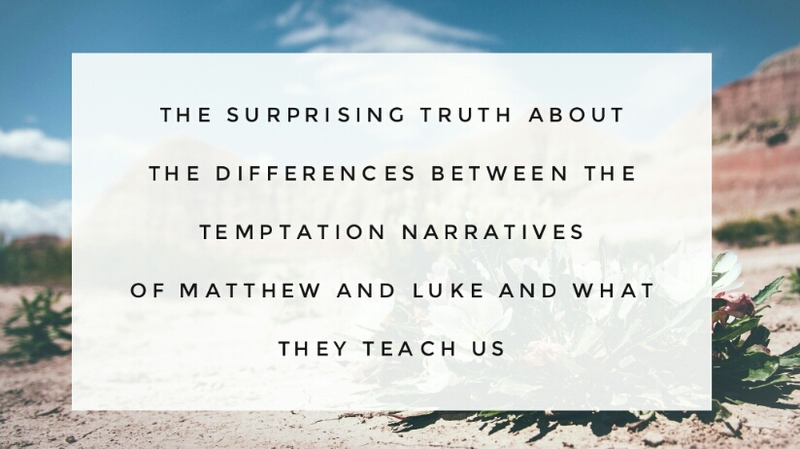 Therefore we can see the entire gospel echoed within the temptation narrative. The temptation itself being a microcosm of Luke’s gospel. Jesus starts off in the desert, moving to the mountain, and finally ending up at… Jerusalem. Both renderings of the temptation arrive at the same conclusion via different means. Both narratives end where Jesus himself chose to end: with his death and resurrection establishing a new covenant with the world. One narrative focuses on Jesus physical journeying or arriving at this new covenant, through his triumphal entry into Jerusalem, ending in his death and resurrection (Luke). 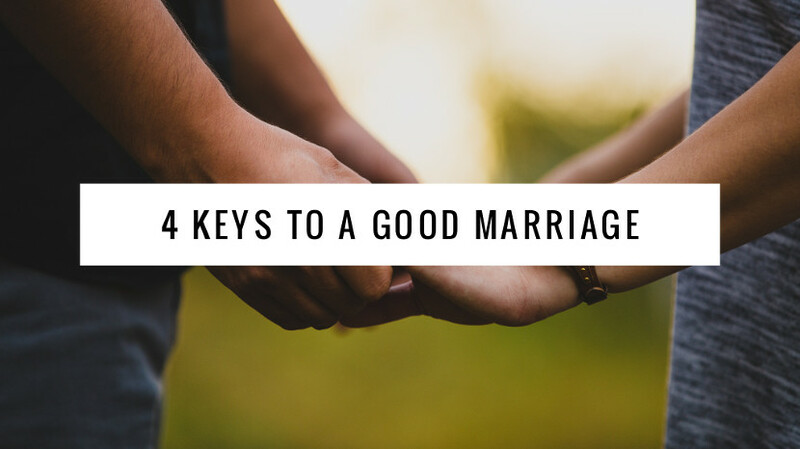 The other narrative focuses on the spiritual ramifications of this physical journey, that a new covenant would be established and a new law established, this time through the spirit of God and through reconciliation (Matthew). What does this teach us about temptation? Yes, there are all the parts about knowing scripture that we have heard before. And all this is important. But what about using our approach? In both narratives, Jesus is heading somewhere, to something greater than himself. He has a direction, somewhere he wants to get to. Specifically, the redemption of mankind, the establishment of a new covenant and the restoration of a new Eden. Falling into temptation would have taken Jesus off of this path. When we are faced with temptation, do we know where we are headed? Not in a heaven or a hell way, I am not talking about soteriology as such, but rather, to what are we being called into? We are being called into eternity. We are being called into being daughters and sons of God, by God. We are being prepared for eternity, and so it is that we see our eternal perspective. I would love to hear what you have learnt during this lent, or what you have given up. Let me know in the comments below.